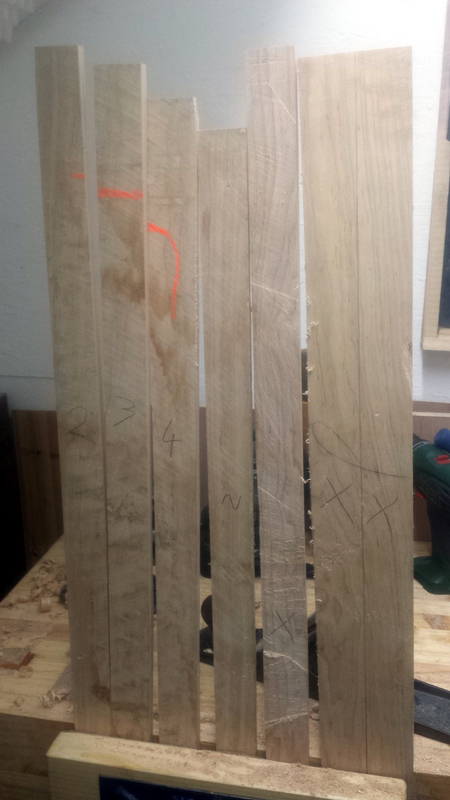 But I made such a bad job of the resawing that three of the slats aren’t usable (they’re way too thin thanks to the disston saw wandering), one is marginal, and of the four I can use, two have a small (around an inch in size) spot where they drop below the ⅜” mark. Bah. At least I can use the three write-offs for testing finishes and the like. Previous Post: The united church of hand tools?